What could you do in the next 24 hours? Could you do something significant that can turn your life around? Could you achieve the goal that, until now, you've just been talking about? Hi, my name is John. I'm an author and freelance writer. And this book documents how I wrote and published an 8,000+ word book in 24 hours. The truth? This book took over a year to make. For over a year, I've been telling my wife I'd write a motivational book. But all I've done over the past year was talk about it. On January 5, 2016, I decided to shut up and do it. Instead of talking about this book and not doing anything about it, I just did it. Twenty four hours later, I achieve my goal. 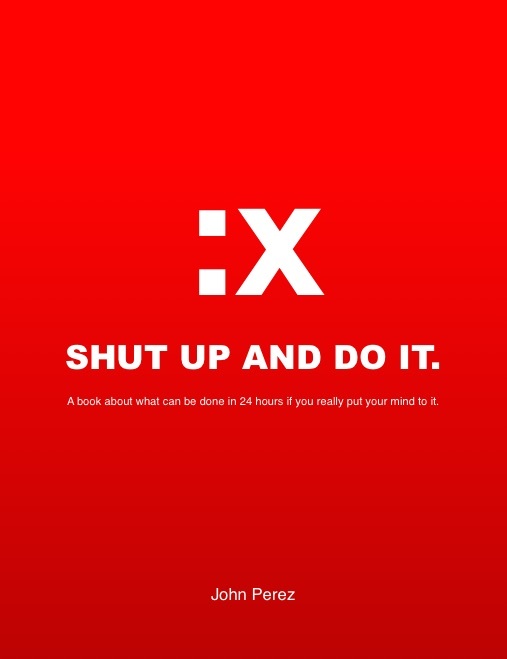 This book is about what you can do in 24 hours if you really put your mind to it. You'll learn about my turning point, why I decided I would finish this book in 24 hours, and how I actually accomplished my goal. Join me as I share 24 hours of my life with you. Find out how I set a goal and achieved it. Learn about how you can do the same.